Naxos is the largest island in Cyclades, with a well-preserved capital, picturesque mountainous areas and quiet seaside villages. Its history in tradition and culture has made it quite an attraction for many European visitors who enjoy their peaceful and pleasant Naxos vacation every summer. Tourism in Naxos is developed but still the island keeps its authentic character. Naxos tourism is ideal for families with kids and romantic couples. Tourist who arrive in Naxos can collect all the necessary information from the travel agencies available at the port, as there is no tourist office on the island. There is although a tourist police that provides assistance to all tourists for any problems that may occur during their stay. 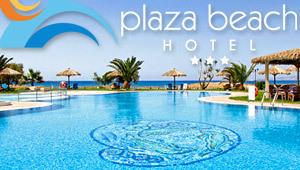 Book your hotel in Naxos. Various types of accommodation proposed. Rent a car with us at the best rates and get around at your own pace. Check ferry schedules and book your ferry tickets online. Organize easily, quickly and safely your transfers to your hotel. Have a look in our island hopping packages: Save time and money! Send us your traveling details and we will reply with an personalized offer. Find out useful information on how to organize your travel to Naxos.